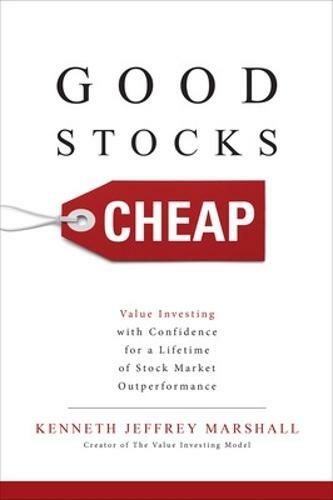 Good Stocks Cheap provides a low-risk, easy-to-understand approach to the money management style that has made value investors like Warren Buffet and Seth Klarman so rich. Marshall's proven framework integrates the three disciplines that successful value investors rely upon-finance, strategy, and psychology-to help you crush standard returns over the long run. This model works in overheated markets by showing which companies are likely to excel operationally over time; and in downturns, by revealing which of these outperformers are most underpriced and best to buy.